I love this time of year. Fall brings the beautiful changing leafs in the trees, wearing scarfs, cardigans and my all time favorite, warm drinks and bake goods. I absolutely love sitting on the couch with a throw blanket, reading a book or watching a movie with a warm drink in my hand. Last week I made a batch of my Caramel Apple Cider I shared with you all last year and decided to make a new treat for the kiddos. Although this drink in itself is a treat, I wanted to kick it up a notch. I added a scoop of vanilla ice cream! That's right, I made it into a float. That's why this week's Thirsty Thursday is Warm Apple Cider Floats! Let me just say, this was the best drink ever. It was DELICIOUS! This tasted just like apple pie a la mode, but in liquid form. The kids devoured this drink and I must say, so did I. Definitely a family favorite in the house now and a treat I know I'll be making a few more times this Fall and probably Winter too. In a mug pour in your warm apple cider. 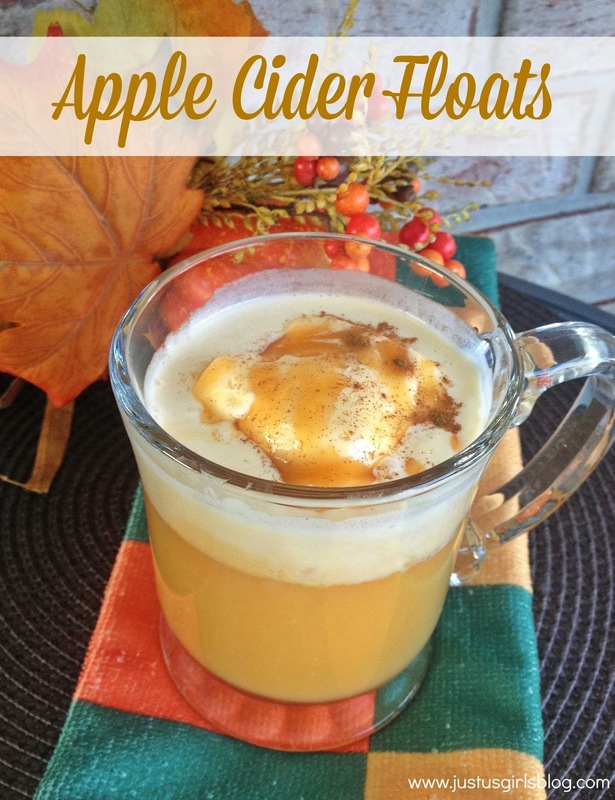 You can use Apple Cider from the store as well, just warm the Cider up in the microwave or on the stove. Once warmed put in a scoop or two of vanilla ice cream. Add your caramel sauce on top and a sprinkle of cinnamon. Serve with a spoon, drink and enjoy!